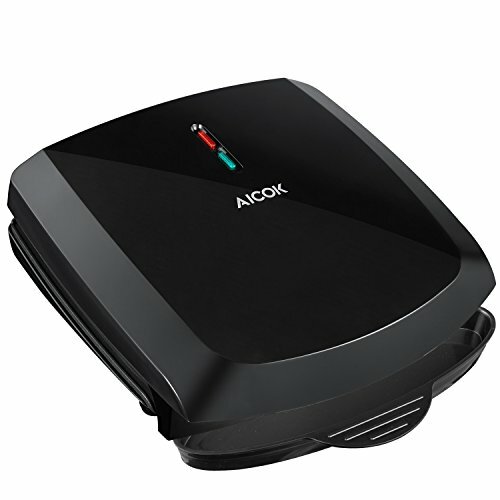 Aicok Panini Press is specially designed for cooking succulent steaks, juicy burgers and crispy panini. You may grill your chicken breasts fairly fast for a rush lunch. Just enjoy using it. ☞ Do nor touch hot surface with hands. ☞ Clean the product only with a slightly damp cloth. ☞ Do not use abrasive detergents. 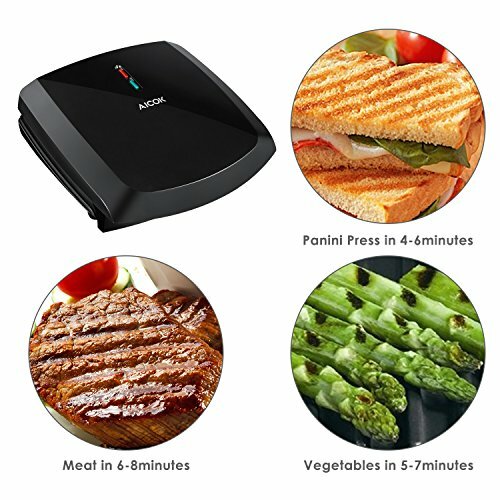 Dual Contact Evenly 1000W Fast Heating - Aicok Panini Press delivers extremely fast grilling and delicious results for steak, burgers, chicken, veggies, and more. 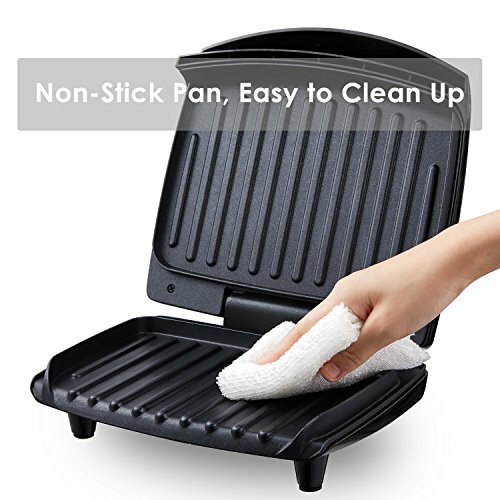 Fat Removing Non-stick Sloped Surface - The sloped grilling surface of the sandwich maker removes up to 42% of fat, making for light, healthy cooking of all your favorite. 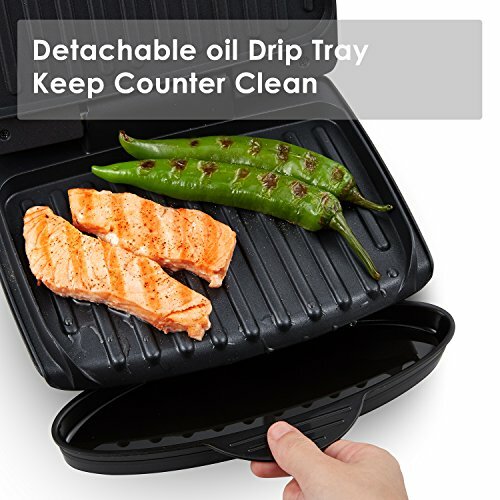 Removable and Dishwasher-Safe Drip Tray - The drip tray collects excess fat and grease so you don't have to. And the non-stick coating wipes clean very easily after every use. 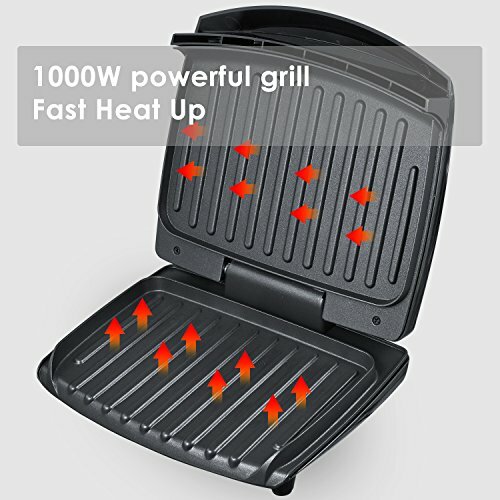 Portable and Easy to Store - This compact 2 serving indoor grill fits perfect in your kitchen and is great for small apartments and couples. 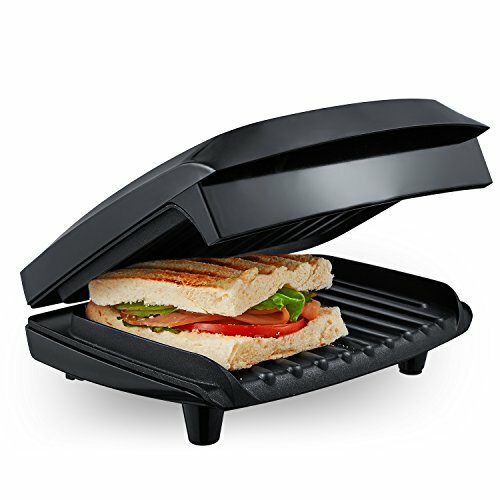 2 Years Warranty - Our Panini Maker provides a two-year guarantee. Before anything, please contact us, we can help you solve any issues regarding to the product.